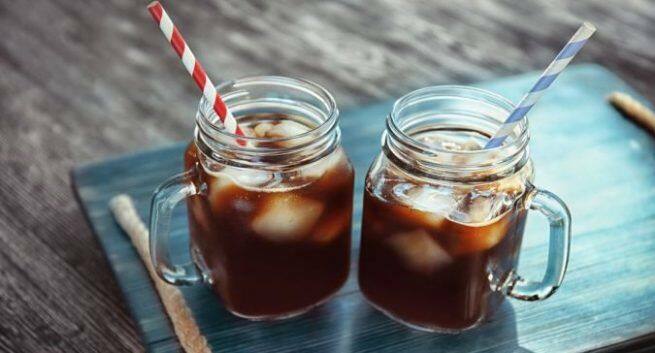 Cold brew coffee or hot coffee: Which is better? If you are one of those who loves having a cold brew every day to get your daily fix of caffeine and think that you are getting all the benefits of coffee, you have got to read this. A new research has claimed that hot brew coffee has higher levels of antioxidants than cold brew. Researchers have found chemical differences between hot and cold brew coffee that may have health impacts. In particular, the researchers found that hot coffee has higher levels of antioxidants, which are believed to be responsible for some of the health benefits of coffee. The study by Thomas Jefferson University which appears in the journal Scientific Reports has also found that hot brewed coffee method had more total titratable acids, which may be responsible for the hot cup’s higher antioxidant levels. Cold brew coffee, which has become increasingly popular these days, thanks to coffee companies and lifestyle blogs who tend to tout cold brew coffee as being less acidic than hot coffee and thus less likely to cause heartburn or gastrointestinal problems, is made with a no-heat, long-steeping method of preparation. The benefits of hot brewed coffee have already been studied. Hot coffee is known to lower risk of some cancers, diabetes and depression. Besides being high in antioxidants, coffee is great for a number of other health reasons. A study published in the American Chemical Society Journal of Natural Products states that cafestol, a bioactive substance found in coffee, could help delay the onset of Type-2 diabetes, improve cell function and insulin sensitivity. Drinking coffee could also lead you to live a longer life, says a research by the University of Southern California (USC). People who consume a cup of coffee a day are 12 per cent less likely to die earlier compared to those who don’t drink coffee. Those who drink two to three cups a day have 18 per cent less chance of death, according to the same study.